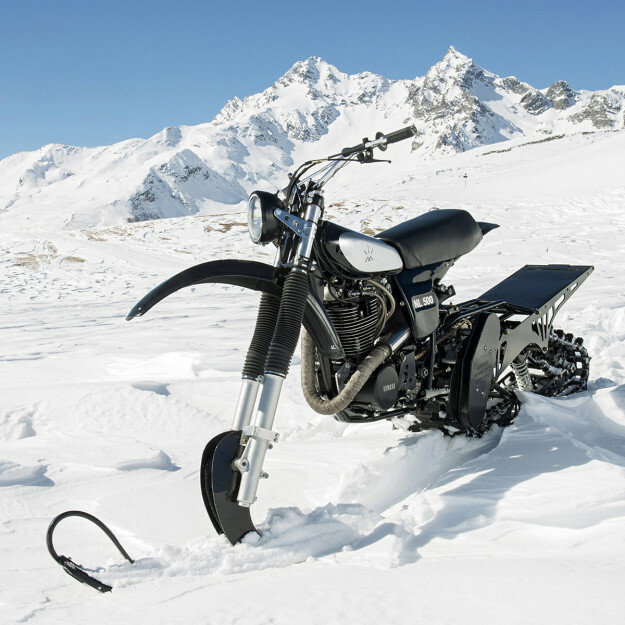 Snow bikes are a great recipe for unbridled hooliganism. 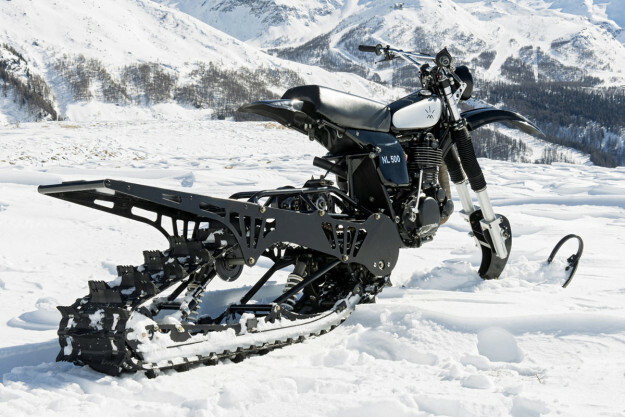 Take a dirt bike, fit it with a ski and a track, and hold on tight. 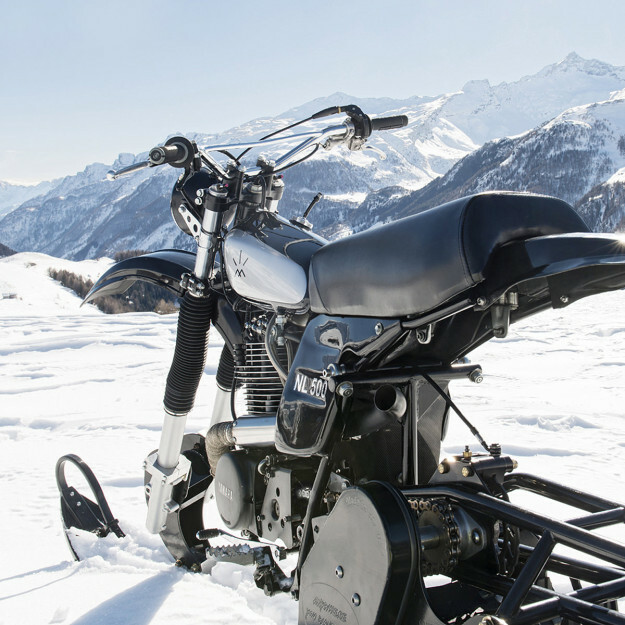 But most are built using modern motocross machinery—and that doesn’t appeal to Orion Anthony. 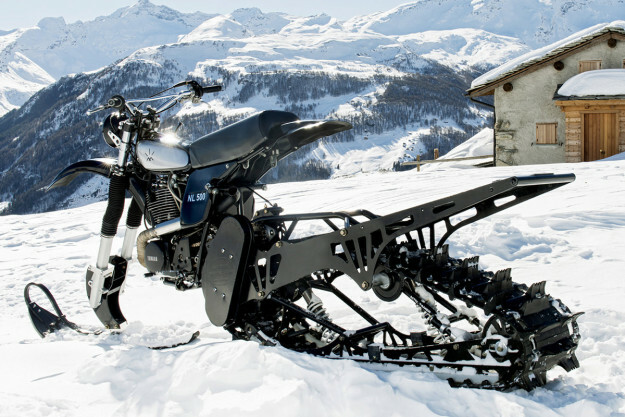 Orion lives just north of Whistler in the alpine region of British Columbia, Canada—and spends a great deal of his time exploring the area by snowmobile. 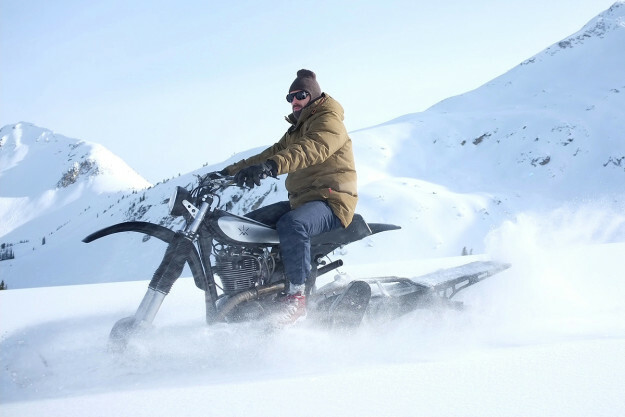 He’s also just launched Northern Lights Optics, a luxury eyewear collection that takes cues from early-days mountaineering and motorcycling. After some deliberation, Orion settled on the iconic Yamaha HL500: the bike famed for being the last four-stroke to win a Grand Prix before the reign of the two-stroke began. 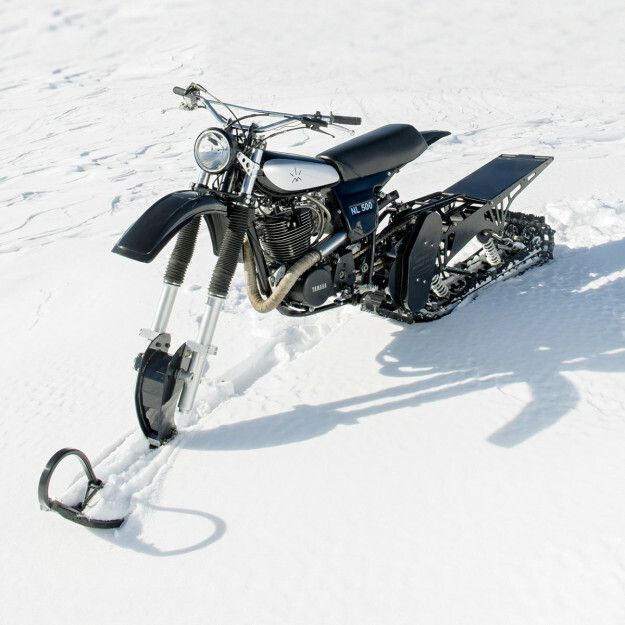 A little research led him to Rob Phillips of Husky Restorations in New York—a renowned bike builder with a number of HL replicas under his belt. One phone call later, and Rob was on board. He also added his own steel-braided oil lines and modified the engine case for a shorter, steel-braided oil pickup line. The carb is a 36mm Mikuni item, kitted with a K&N filter, and the exhaust is a stainless steel, HL500-style unit with a built-in silencer. The original HL500 has 35mm YZ400 forks, but Rob thought it’d be best to go for something beefier—so he fitted 43mm YZ forks instead. 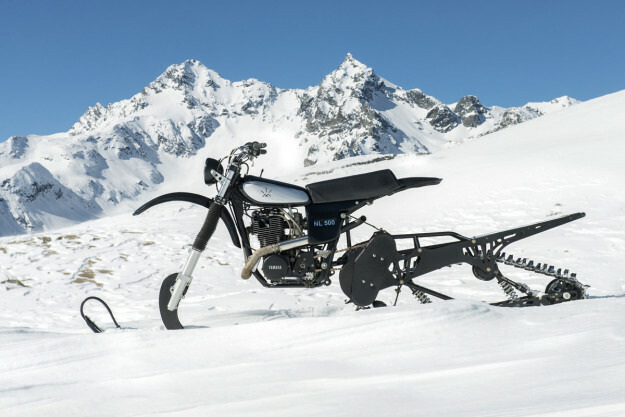 Small modifications had to be made to the frame and forks to fit the Timbersled track and ski kit—but with the help of Arctic Cat specialists Route 99 Motorsports, the conversion went off without a hitch. Rob’s work wasn’t done though: he also built up a swing arm, wheels, rear shocks, and everything else Orion would need if he ever decided to convert the ‘NL500’ for dirt use. When all was said and done, Orion dragged the NL500 along to Milan for the MIDO Eyewear Show, and his first visit to the Italian Alps.